Diphtheria is an acute infectious disease characterized by severe inflammation in the upper Airways - the larynx, the nose, and the abrasions and cuts on the skin. In humans, this disease is no immunity. It is transmitted by droplets from the carrier bacteria, suffering from diphtheria of the person or from infected items. The incubation period of the disease averages from two to five days. The greatest danger of the disease, especially for a child, imagine the possible complications that can be caused by the huge amount of toxins in the source of infection. When the infection gets into the blood of man, the toxic substances spread throughout the body, adversely affecting the cells of the kidneys, heart, and nervous system. With the defeat of diphtheria of the larynx, occurs disease true croup – decreases breathing holes, and the child may suffer from a lack of air. In this case, it may occur the worst consequence of the disease is fatal. By timely vaccination can prevent the disease or greatly reduce the probability of its occurrence, and in the case of infection – can considerably simplify the form of the flow. Infants vaccinated against diphtheria is produced by the introduction of the drug in the thigh, it is believed that this is a way more complete absorption. The first vaccination done at the age of three months. She instilled in pure form and in complex with a drug called DTP. Drug administered during three phases: three, then four and finally five months of a child's life. 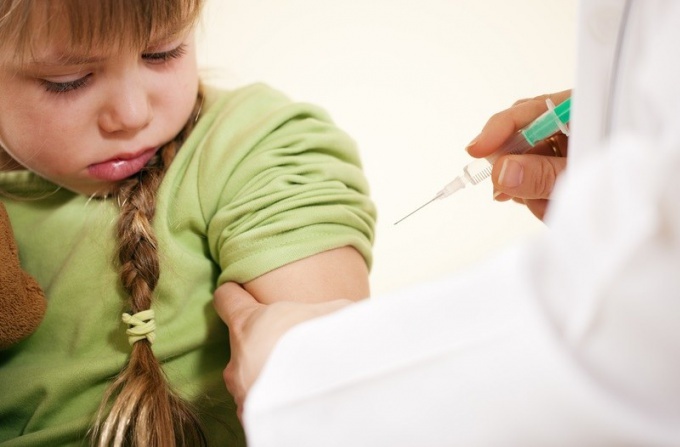 The next vaccination occurs within one year, then at the age of seven, then twelve and seventeen years old. Everyone has the right to refuse to vaccinate. In this case, you must write the refusal in writing to the chief doctor of the medical institution with reasonable reasons for such decision. Acts introduced the vaccine within a few years, after which adults repeat it systematically to fifty six years. Free vaccine is very difficult tolerated by the body – noticed the temperature increase, the child becomes capricious, and the injection site formed a painful knot. Therefore, the practice of vaccination on a paid basis. Foreign analogues of the drug is different easier portability. This procedure is performed only at the request of the person, the effect of both vaccines (paid and free) are exactly the same.